Is there a better alternative to ProjectDesktops? Is ProjectDesktops really the best app in Desktop category? Will ProjectDesktops work good on macOS 10.13.4? 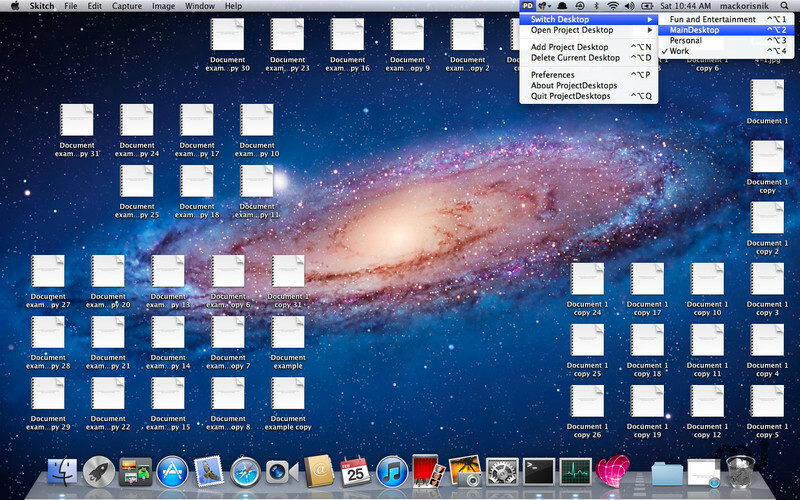 ProjectDesktops is a unique desktop manager for OS X, it lets you have multiple desktop folders for different projects. Essential for anyone who has trouble coping with a lot of files on their desktops. If you are a desktop paradigm user this app will enhance your workflow, reduce your desktop clutter and keep you on top of your files. You can try the ProjectDesktops for 14 days by using our v1.0 trial.